June 11th is almost here! 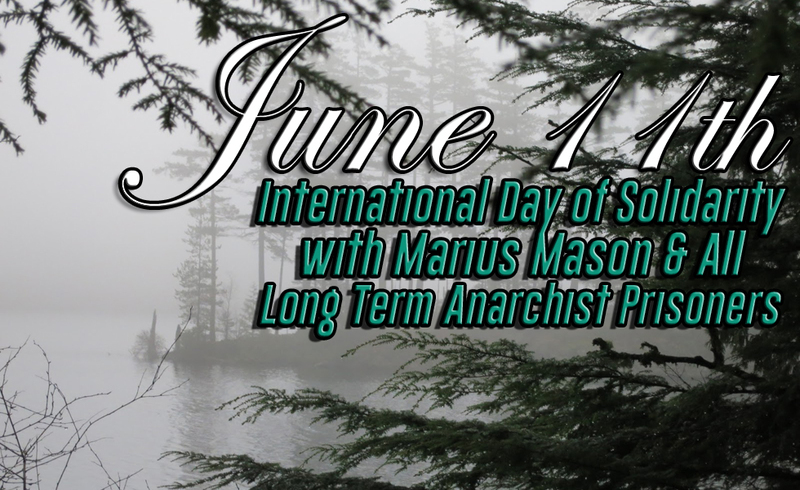 Eric is honored to be on the list of supported prisoners for the International Day of Solidarity with Marius Mason and all Long-term Anarchist Prisoners. Find out more at http://june11.org/, including information about events that day. Don’t see one near you? Bring friends together on June 11th and make one happen! We will update you as soon as we learn of his sentencing date and will be helping bring people from around the region and country out to it to support him in court. In the meantime, Eric still needs your support and solidarity!